Taman Nusa Bayu 2-Storey @ Nusajaya. Tmn Nusa Bestari 2 , End Lot With Land , Renovated Unit. 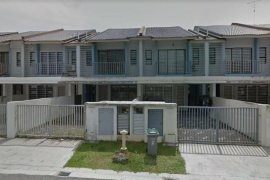 2 Storey Terrace House Damai Jasa Alam Damai Cheras. Double Storey Terrace, Puncak Bestari, Bandar Puncak Alam. Single Stry Semi-D #Taman Orkid #Teluk Kemang #Port Dickson. New Project 2-Storey Terrace House @ Batu 10 Hulu Langat. Taman Nusa Bayu ,Brand New Double Storey. FOR SALE/RENT – ELLA HOLIDAY INN @KLEBANG. 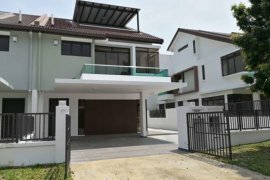 Johor Jaya (Rosmerah) 2-sty Terrace House for Sale. Taman Bestari Indah Single Storey House For Sale. Taman Bestari Indah Single Storey Terrace. [22X80] 2 Stry Link [Balista][Hijayu 1] #Bandar sri Sendayan. [24X80]2Stry House #Taman Duyung[Fully Extended]Seremban. ??? ?For Sale in Setia Eco Cascadia ???? Type The Elm. 2 Storey Terrace (Corner), Taman Impian Putra, Port Dickson. new House, semi D setingkat, taman 1 krubong (rebate rm30,200!!). *New Project 2-Storey Terrace House @ Dengkil*. 2.5-sty Terrace House 6 Rooms At Happy Garden For Sale. Hello, Please contact me, I am interested in houses for Sale in Malaysia. Best Regards.